Quality early education and care during the first years of life have a powerful influence on the way toddlers and twos view the world and relate to others. By providing care and experiences that are nurturing, consistent and loving, our staff teaches children to trust their teachers and joyfully explore their classroom, making discoveries about the world and about others and gradually viewing themselves as competent learners. Our high-quality staff practices intentional teaching with specific goals and objectives for children’s learning in all areas of development – social/emotional, physical, cognitive and language. 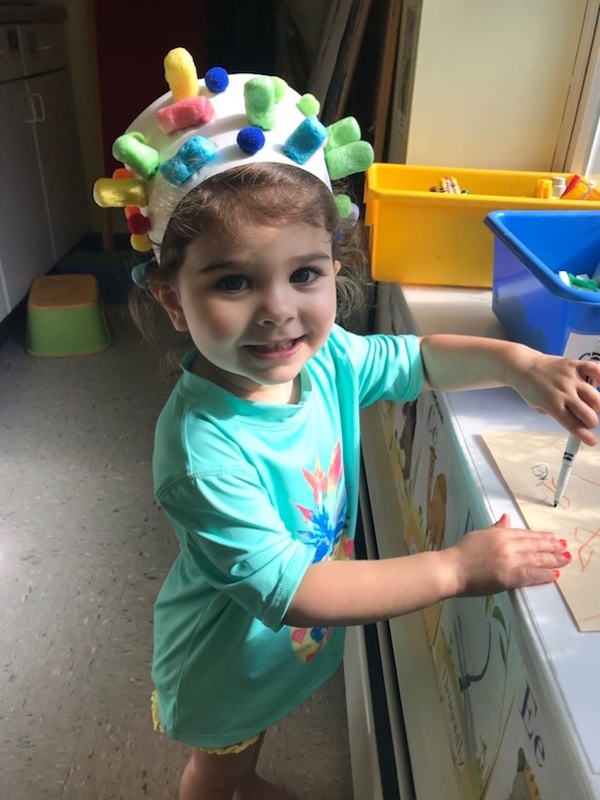 Our toddlers develop essential learning skills through the exploration of developmentally-appropriate study topics such as Balls, Clothing and Families. Greet the children and families. Help the children store personal items in their cubbies. Bring in any “lovey” item they might want, facilitate a happy good-bye and wash hands. Help the children choose from among the classroom centers and activities. Guide them in their choice of play and how to play with the toys. Observe and interact with the children in extending play and learning. Help the children clean up the room, guiding them to place materials in the appropriate bins and areas. A clean-up song always makes the work more fun! 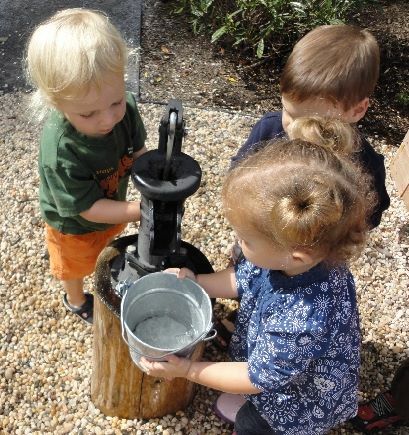 Help the children wash their hands and retrieve their snacks. Sit with the children, engaging them in open-ended conversation. Help children clean up their place and select a book to enjoy while their classmates finish snack. Enjoy fingerplays, sing songs, share books and stories in support of early literacy skills. Explore the ODC centers and climbing equipment. Make natural discoveries, dig in the sand, ride bikes and care for the garden. Greet parents and caregivers. Share highlights of the day or important information.